We are using lolly sticks to divide with remainders in class. Putting lollisticks into triangles to divide by 3. 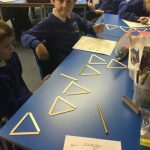 Year 5 have enjoyed a morning exploring nets of 3D shapes. They investigated how many different nets of a cube they could create. Lots of excellent maths talk and reasoning. 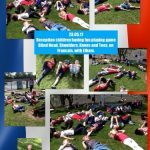 Reception – STEAM Day 2 – Team challenge building a bridge for a boat to sail under. Reception have enjoyed the challenge of making a bridge from any material of their choice. The bridge has to be tall enough to so that a boat 20cm tall can sail underneath. There has been some fantastic team work, listening, cooperation and responding to each other's ideas. Children have been measuring their bridge, adapting their work and being resilient in the process. Tomorrow we continue adapting and modifying our work. Thanks to Mr Richardson (Finlay’s Dad). 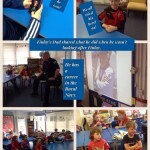 Who came in to tell us all about life in the Royal Navy. 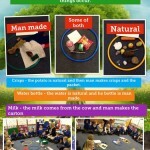 Reception Science fun sorting items between man made and natural. The children loved sorting objects between man made and natural today. We discovered that some belong a little in both and the reasoning and explanations from children were fantastic. Maths is fun in Year 2. 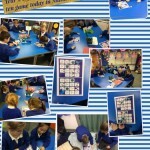 We have had a very busy week in Year 4. We have been learning all about factor pairs with a hands on approach using th counters to show what they look like. 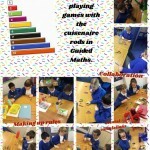 In Guided Maths, we have been using the cuisenaire rods to play games which involve mental calculations, collaboration, communication and creating game rules. 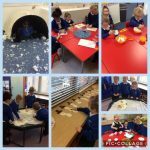 Fantastic maths investigation work in Reception! This week we have been comparing and measuring lengths to find out which is the longest and shortest and sorting into order. 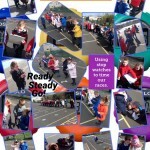 Today children were investigating how to work out which is the longest without being able to move any items to compare. 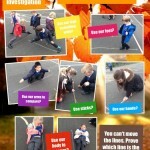 Children had to prove which line was the longest and how they had worked it out. 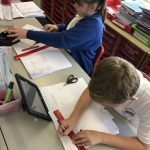 Unfortunately, the ideas of using a measuring tape or a ruler could not be used as these had been stolen, so we had to think of a way to work it out?